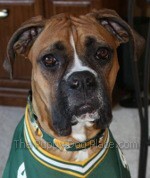 The Boxer dog makes a wonderful family pet, and his personality and energy can light up your life! If you've ever owned (or even met) one of these dogs, it won't surprise you to learn that they are consistently included in the AKC's annual list of America's most popular dog breeds. In 2017 they held the #11 spot, but they're most often found in the Top 10. Bandit & Ladybird (above) are classic examples of this breeds personality. These lovable, high spirited and affectionate dogs makes great family pets. Their powerful athletic bodies, irresistibly lovable expressions, and joyful, playful natures are a winning combination. 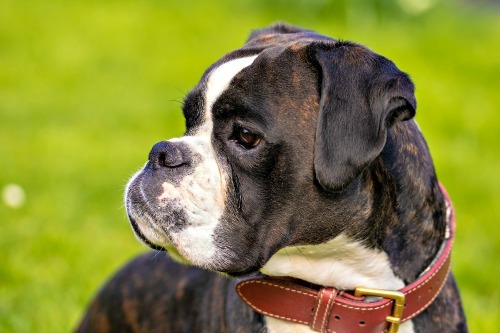 The ancestors of today's Boxers existed in Europe as early as the 16th century, but the breed became more prominent in Germany during the 1800's when it was used for bull-baiting, hunting large game and also (sadly) for dog fighting. This breed is closely related to other fighting and baiting 'bully breeds' such as the various types of Bulldog, Pitbulls and Staffordshire Bull Terriers. They were also sometimes used to herd cattle and pull carts due to their strength and willingness to work. In the mid 19th century bull-baiting and dog-fighting became illegal in Germany (and much of Europe) and breeders and enthusiasts kept the breed alive by encouraging their use as service dogs (such as seeing-eye dogs) and police/military dogs, and also of course as family companions. During the early 20th century the breed was introduced into the United States and became an accepted breed within the American Kennel Club in 1904. It quickly became a favorite and has been consistently popular ever since. Color: Fawn or Brindle. Can have white markings (called Flashy). White dogs are not allowed to be registered with the AKC. Temperament: High spirited and playful. Extremely affectionate, loyal and loving. Special Needs: Need a lot of regular exercise. Ongoing training and socialization. 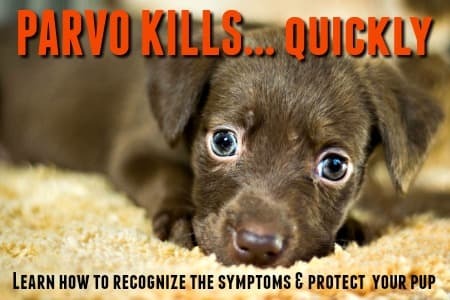 Possible Health Problems: Hip dysplasia, cardiac problems, breathing problems, cancers. Because of their shortened muzzles, this breed can have difficulty coping with hot weather. 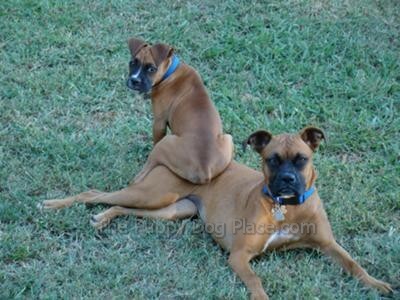 Boxers are a fantastic choice as pet and companion for families or single people. They can get along well with other animals if socialized to them early on. Although friendly and outgoing by nature, they can be wary of strangers and are fearless in protecting their loved ones. This breed NEEDS human companionship and interaction and always wants to be in the center of the family. Boxers are intelligent, loyal and always eager to please, but also need lots of exercise to keep them from getting bored. 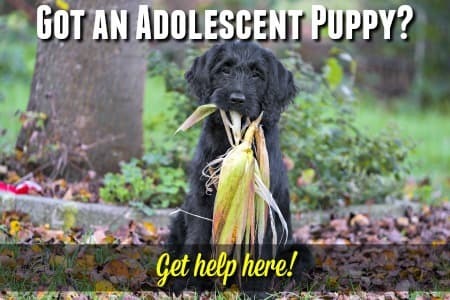 In their excitement, a full grown adultdog will be strong enough to knock down a child or small/frail/elderly person - totally by accident - so, proper training and supervision is always going to be important. This breed has the kind of face, and expression, that it's hard to resist and my Boxer Puppy Pictures page has a whole host of them that are just too cute for words. Don't miss it!